Octoberrrrr! I can't believe that it's already October and I know that I say that every single month I set these goals. But seriously! The year is almost over. Like what??? I do enjoy October though and I think that is probably because of my birthday and Halloween. Two fun things! Plus the changing of the leaves around here and those sporadic beautiful fall days that just make me smile so much and give me the opportunity to be so appreciative of them because they become less and less as the month goes on and I don't want to take a second of them for granted. 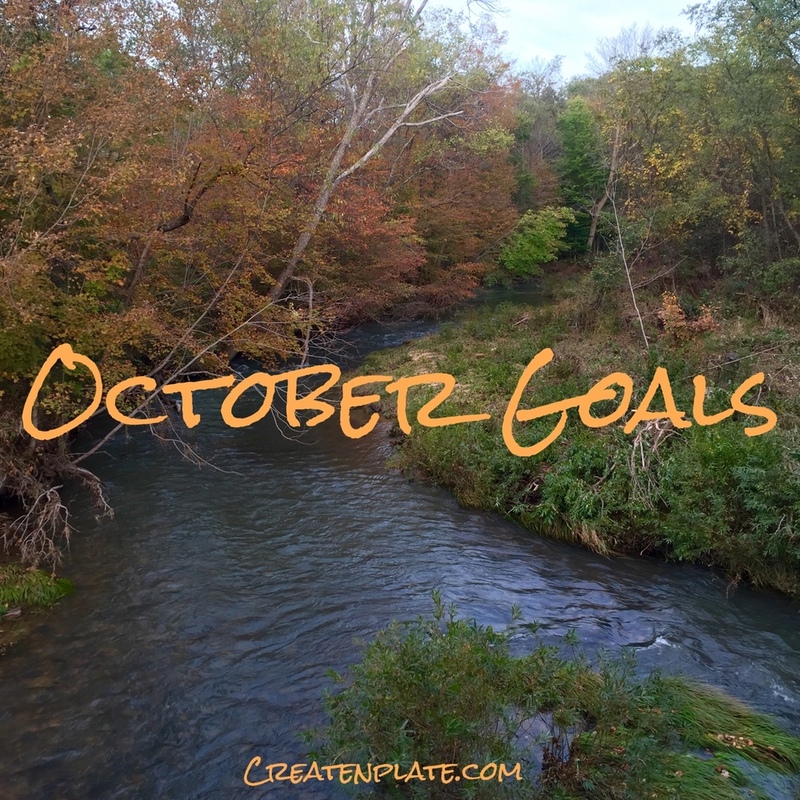 I have some good goals for this month that I'm so excited to share but first lets review my September goals! Check in with a friend at least once a week Done!! I have been reaching out to more people in my life than I usually do and it's nice to connect with people and just have easy casual conversations for a bit. Make plans to do something with friends at least 2 times this month I know that I did this at least once in NYC at the beginning of the month! I met up with my friend Humberto and we spent the day eating and catching up. It was so much fun! But I only think it happened once so let's call this 50% complete! Put more thought into my Instagram captions This has been hard but I am trying. I am becoming more comfortable with being uncomfortable and sharing my thoughts with my followers/friends. Actively a work in progress! Smile at and/or compliment one person each day This is tough. I'm not one to really speak up and compliment a stranger very often unless something is really really amazing. I saw this guy the other day with the coolest tattoo on his arm and I wanted to tell him how awesome I thought it was but I didn't and when I left I wished that I would have. I need to continue to work on this too! Upload a Youtube video everyday I find Youtube to be an amazing way to connect with people and learn more about them and their views. I am obsessed with watching Youtubers and have been trying to get more into uploading some videos of my own. I figured that I would try to upload a video everyday. I have no specific topics that I want to cover or anything. I just want to turn the camera on and talk for a few minutes. I'm doing this mainly for myself to look back on but figured that I'd share it with whoever wants to watch too! 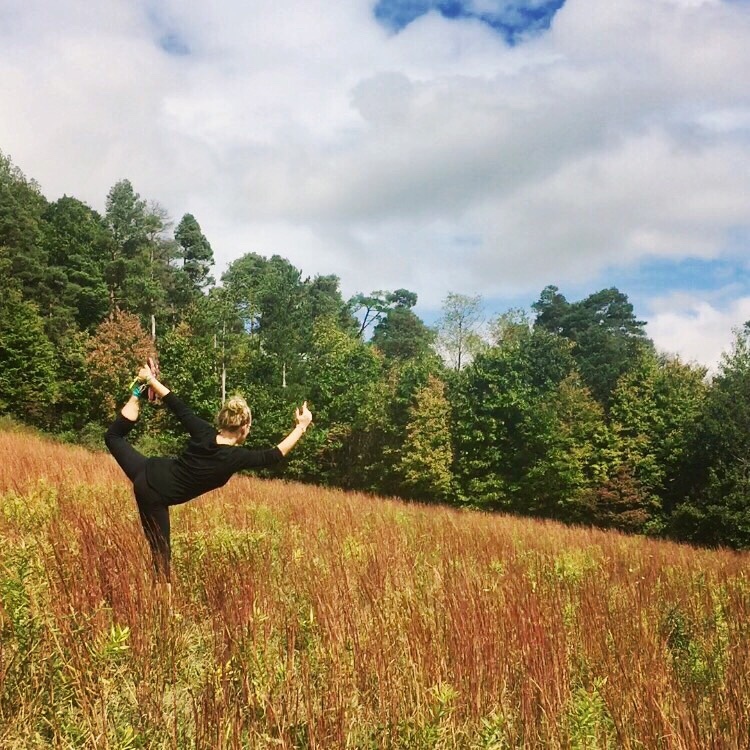 Follow through with an Instagram yoga challenge I've never even attempted a yoga challenge on Instagram before. But this month I figured what the heck. I focus so much on my Create N Plate Instagram and never pay much attention to my yoga one so I'm giving this challenge a go! I'm really excited because I think that I can do this and I think it'll push me to want to get outside and be creative with my photos! Bike 30 miles I've been wanting to bike 30 miles for a few months now and haven't done it yet. I know that I can do this but I haven't taken the time to do so yet. I love biking on the trails with the fallen leaves and I'm determined to make this happen on one of those beautiful fall days! Do a pull-up! This probably seems really strange but I have never in my life been able to do a pull-up regardless of my fitness level. So now I've been attempting pull-ups without success but haven't been consistent like I should be. So by the end of October I want to be able to do at least one. It's happening! That's it for this month! Simple but also allowing me the growth that I want to see happen in my life now. I'm excited to get started and make this the best October! What are your goals for this month? How did October go?! I’d love to hear all about it!